Martinsburg’s railroading history dates back to the 1840s with the presence of the Baltimore and Ohio Railroad Company. Engine and machine shops were used to expand the company. During the Civil War, railroads played an important part in transporting supplies and troops. On May 22, 1861, Thomas “Stonewall” Jackson’s troops halted trains traveling east at Martinsburg and Point of Rocks. Locomotives and cars, as well as tracks, bridges, telegraph wire, “Colonade” Bridge, B&O roundhouse and machine shops were destroyed. 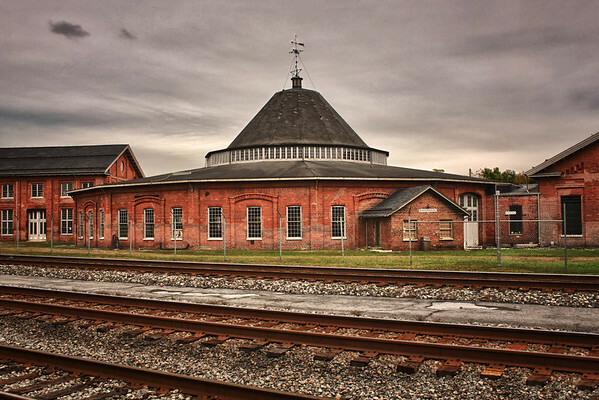 In 1866, the B&O began efforts to rebuild the roundhouse and associated machine chops for servicing locomotives. Used until the mid-1980s, the Martinsburg Roundhouse is the only cast iron-framed structure of its kind still standing today. It was also the site of the First National Labor Strike of 1877 and was a key site early during the Civil War.